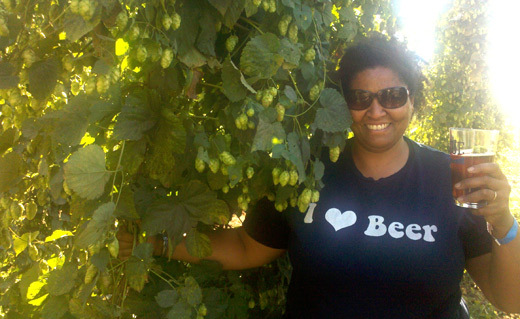 Annie Johnson, pictured at Rogue Beer's Hop Farm in Independence, OR. Used with permission. For Part 2 of this ongoing investigation (coming next week), I conducted interviews with High Gravity Hip Hop’s Lenox Mercedes and Ale Sharpton, prominent Atlanta-based craft beer authorities. Stay tuned for commentary from Lenox and Ale, both men of considerable talent, enthusiasm, and expertise who have both personal and professional comments on the subject. Writing for NPR, freelance journalist Alastair Bland asks a question that’s been on my own brain from time to time. Namely: "Why Aren't There More People of Color In Craft Brewing?" 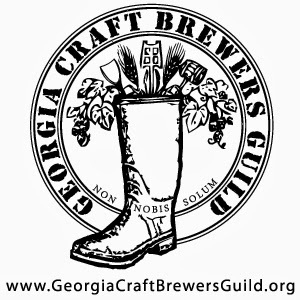 My limited experience with beer festivals on the outskirts of Atlanta has made me wonder as much. Such events can seem overwhelmingly white. That’s not a criticism of the festival or festival-goers themselves, but merely an observation that didn’t seem in keeping with my broader impressions of the craft beer culture at large. 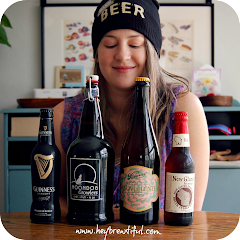 For me, craft beer encourages people to convene over a singular and unifying enjoyment--beer. It seems to include and facilitate participation (from consumption to creation) from just about everybody. It’s about demographic and democratic overlap. "Craft brewing is rooted in home-brewing [...] And if you look at home-brewing, you see nerdy white guys playing Dungeons and Dragons and living in their mom's basement, and I know this because I was and am one of them." Marshall’s comments seem confirmed by statistics shared at this year's Craft Beer Conference (when it comes to the consumer, at least) that the culture of craft beer is predominantly white (about 85%), male (over 70%), and young (over a third of survey participants were under the age of 45). While this picture rings true in the way that most caricatures are true, it oversimplifies what's really a more complex crowd of interest. The Nielsen data, as artfully compiled and extensive as they seem to be, aren’t inclusive of the beer culture at large, and fail to account for some important areas of discussion. Annie Johnson, who this year became both the first woman in thirty years--and the first African American in the history of the prize--to be awarded the honor, was not directly mentioned and (as it turns out) not asked to comment. I set out to fix that. After some relatively minor sleuthing, I was able to speak with Annie Johnson directly and ask her to contribute her thoughts on the subject. The transcript of the interview follows. Hey, Brewtiful: So, what are your thoughts? Have you had a chance to read the article? Annie Johnson: Yes. Someone sent it to me I think the day before you contacted me, because someone had mentioned my name in the comments. HB: Yeah, I saw that. 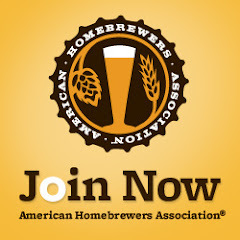 AJ: My thought was that the article was geared toward people that are in the craft industry that sell beer, and I don’t sell my beer, for now at least. And [...] Garrett’s been at Brooklyn Brewery for a long time. I’m surprised they didn’t try to interview him, because [...] He’s got a lot to say. He’s very political. Somebody asked me a question like this about mid-July, and my opinions are... it’s not very popular either… if you think about most urban cities, and you have a minority population that belong to a certain area of town, we all know it… If you go to the little corner mart, there is no craft beer. It’s Bud, Bud Light. Nothing is marketed to them except for those. They’re the only ones that are marketing to that particular crowd. And if you’re not exposed to it, you’re not going to be interested in it. And also, honestly, it costs more. Craft brew, It does cost more. [...] Some of the smaller craft breweries, they don’t have the budget. They market to who they can. They don’t have the data… I know I'm kinda jumping all over the place but do you see where I’m going? HB: Yeah, I get what you’re saying. It’s a lack of exposure on both ends. AJ: It’s a total lack of exposure. And, yeah, completely! And I have my own opinions about how big groceries and supermarkets are tipped out of specific areas. The little mini-markets and the concessionaires and the craft brewers and the candy vendors, they’d make a fortune out of those places… crappy food and crappy beer, and that’s all these people have access too. There’s a real lack of exposure. And then you have some of these big breweries, they’re getting slammed by… I love the Brewer’s Association, but they wrote an article about them being “crafty” because they have Shock Top and Blue Moon -- and Blue Moon, it’s a little bit overdone as far as a Belgian, ya know a white beer, but it’s been -- it’s been around now, for what, ten years? AJ: Yeah! The big breweries, they’re trying to step out now and not lose their market share. They’re trying to introduce those beers to their regular market [...] and because they’re so big they can produce it really inexpensively. Sometimes I think craft breweries cut off their nose to spite their face. Why not just make good beer, and get it out locally in the community, ya know? Because, I’ll tell you what, if you ask any craft brewer they’re ultimate goal is to have InBev or Diageo [...] give them a call and say, “We love your beer. We’d like to buy it. We’d like to buy your company.” Cause then, they’ve hit the jackpot. I mean, it happened to Goose Island. It happened to Kona. It happened to these small local brands that were really popular. And thank God it hasn’t happened to Sierra Nevada. And they don’t need them! They’ve been around awhile. They’ve got it down. They do. Without a doubt, they’re doing it right. You Look at Anchor Brewing, you’d probably call them the oldest one, they’re doing it right. And Yuengling, sadly Yuengling is, ya know they produce a few styles of beer, they're the oldest brewery in America and they get shunned by craft brewers, and they’re the oldest brewery in the country! And they’re still, on the crafty list. I don’t know, I always make this comment that beer really doesn’t care what color you are, it just wants to be drunk. So [...] you said that you didn’t feel like it was maybe relevant to be included because you’re a homebrewer, but some of the other commenters made the argument, and I agree, that often that’s where craft brewery owners and people who take that next step, come from, that culture of home brew… So, it felt relevant to me to include you. AJ: Oh, absolutely, And I’ll tell you, being a female [...] You really have to stick with it, because when I first started home brewing, most guys, they didn’t want to give me the time of day. It wasn’t until I won my first award that anybody would take me seriously. And that’s a shame because I knew that I was making good beer. And I really believe that females, women innately, are a lot better cooks, home cooks, and therefore they [...] make really solid beer. It’s just not a lot of them care about entering competitions. And in the history of brewing, it’s generally been females up to the 18th century. All women! All the AleWives, all the brewsters, doing all the brewing. And I know a couple of professional women brewers and they talk about how difficult it’s been for them. If it weren’t for competitions and blind panel judging, they might just get pushed out. And that’s part of my success, is the blind panel judging. It’s an interesting question. And as far as going to school, I read an article about this black girl, she’s a chemical engineer, she went to Purdue, and is working for Anheuser Busch creating recipes. So as far as someone who is working in the brewing industry, you’ll find them in the bigger breweries, but not so much in the craft beer because you’re right, it’s usually just a couple of guys starting it out. I didn’t know about those two females in Harlem, I had no clue! No idea two sisters had a brewery in Harlem. AJ: You hit the nail on the head. The boom for craft brewing is back. I can’t believe how many are opening up. I just can’t believe it. AJ: It’s amazing! What’s really cool is that they no longer have to stick to downtown areas. They’re opening up in neighborhoods. Places with just a roll up door. And people are flocking to them. Because they can… ya know the food truck revolution, and people can show up with their babies, and on their bikes, and they can sit down and have beer, and they can get a growler to go. It’s really kinda cool! It’s a very cool revolution. And I know that the big breweries, I believe they lost 6 or 7 % of the market share to the craft industry (I think that’s the data that was put out) and I know that they’re trying to create these “fictional” breweries. They’ll brew beer but give it a funny name, so you think it's [craft]. But you can kinda tell [it's not] because they’ll stock it right next to the Miller Lite, or the Bud Light. That’s the way you can tell. But a lot of people don’t know that, when they’re going down the beer aisle, what belongs to the big brewer. But like I was saying, It’s a total lack of exposure. It doesn’t matter if you’re Hispanic or Black, you gotta like this beer. I think the number one selling beer in the world is Tsingtao? Tsingtao right? AJ: Yeah, I believe it’s Chinese, which makes sense. Chinese are are minority here, but they’re not a minority in China. It’s funny. Anyway I hope I answered your question. HB: Yes, it was very helpful. I appreciate you taking some time out of your day to talk to me. It’s kind of a big deal. Thank you. AJ: I have a little of a unique perspective, because I’m adopted and my parents are white and I’m black. So, when people talk about race, I hear from both sides. I talk about race from both sides, and I know it’s uncomfortable for people. It’s really difficult to talk about. There’s no denying it’s alive and well in the US, and that’s a shame. It’s a shame. But anyway… Feel free to call me. [...] I haven’t had a chance to investigate your site yet, but I love that name, kinda cool. You’re brewtiful. Ha. Thanks, Jessica.